Laurel and Big Timber are among the communities across Montana struggling to provide clean drinking water, deal with storm runoff, and maintain roads and bridges. They are also scratching their heads over how to pay for these multi-million dollar projects with their small tax or rate base. One challenge for Laurel is when flooding on the Yellowstone River changed the river topography in 2011 and with it the flow of water. The change made the existing water intake system into the water treatment plant insufficient. Some of the panel members who met in the Laurel City Council Chambers Saturday to discuss the community's infrastructure needs. 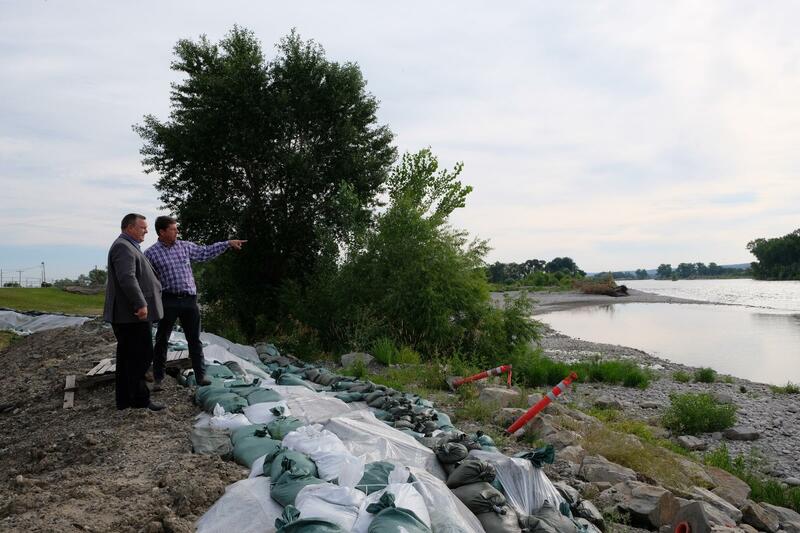 The damage to the water intake system was included in the presidential disaster declaration and most of the costs for Laurel’s fix will be covered by the Federal Emergency Management Agency. Laurel’s fight is over the 25% “local” match, roughly $3 million dollars. Is that match the responsibility of the State of Montana or the City of Laurel. Past Montana Legislatures didn’t appropriate the money then during the 2017 session, funding for the project was in the so-called “Bonding Bill” that was filled with numerous infrastructure projects. 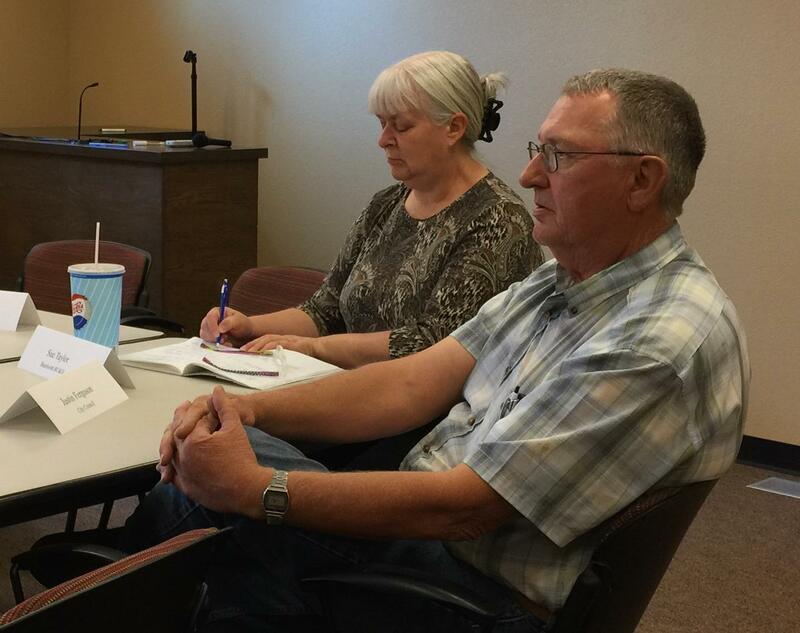 Initial votes were close and had more of the Republican members from the Yellowstone County Legislative delegation supported it might have passed. In the end, the bill failed. Then-Laurel City Administrator Heidi Jensen was among those who had urged lawmakers in 2017 to pass the bill. Nelson continues to argue the Laurel intake is not the typical infrastructure project and the money should come from the state’s disaster fund. While the fight over the money continues, Laurel had to do something to provide municipal water. Officials took just over $1 million out of its reserves and took out a nearly $2 million loan from the State Revolving Loan Fund Program, pushing the community West of Billings near its borrowing capacity. Nelson said he’ll continue to press the state for the money. Big Timber City Council Member Justin Ferguson. Big Timber also faces issues with its water system. City Council member Justin Ferguson said local taxpayers had to shoulder the cost for its water filtration plant. He said the council had to raise rates about 60% to pay for the project. Ferguson said the result is some residents are limiting how much water they use. Ferguson said Big Timber wasn’t able to qualify for any state grants for the project because at the time their rates were too low. Still, Ferguson said one of the challenges they face is his rural community has a small tax base to shoulder a multi-million dollar project. And that’s challenge for a number of Montana communities. 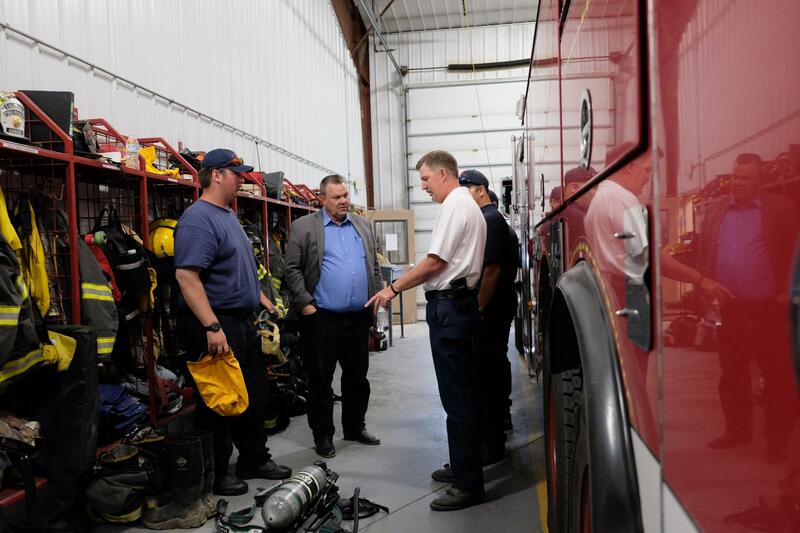 During the visit to Columbus, officials talked about their needs for law enforcement, fire, and emergency medical service. 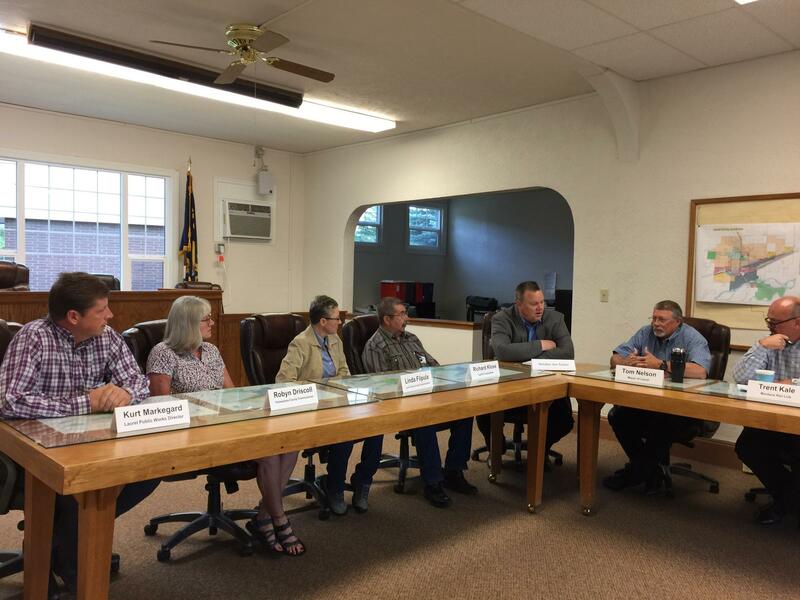 Senator Jon Tester spent Saturday listening to residents in Laurel, Columbus, and Big Timber talk about their water, road, broadband and other needs. Later he said while these projects can’t be paid for alone by reducing waste, fraud and abuse in government, at the same time he says it’s about investing for today and the future. He said infrastructure should be an issue that can bring people together, regardless of where they fall on the political spectrum. But in perhaps recognition to the fact he and others are on the ballot this year, he said voters have to know if the people representing them think infrastructure is a priority. Congress is expected to take up debate on an infrastructure bill next month. Supporters of a bonding bill are working to turn 4 “no” votes to “yes” in order to advance Senate Bill 367 out of the House of Representatives. 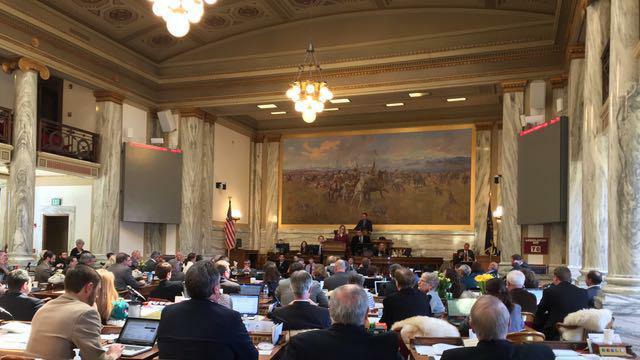 Bonding is the last major issue remaining before the 2017 Montana Legislature. 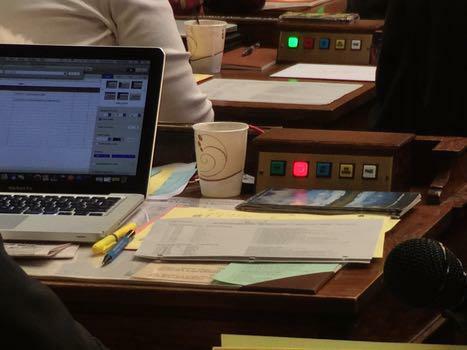 Representatives gave Senate Bill 367 a preliminary 63-to-37 vote last evening. However, the bill will need at least 67 votes on its 3rd and final reading to advance it back to the Senate because of changes to the bill. Passage is expected to expedite the conclusion of the 2017 Legislative session. The Republican-controlled House of Representatives rejected an attempt to revive a bonding measure that would pay for public school building projects, university buildings on 3 campuses, and help the Southwest Montana Veterans Home break ground. Representative Mike Cuffe, R-Eureka, offered a technical motion to suspend the rules to reconsider his House Bill 645. It failed April 6, 2017 to get the votes necessary to be transmitted to the Senate. Lawmakers wrapped up Day 85 of their scheduled 90-day Legislative session with no agreement reached on a bonding package. 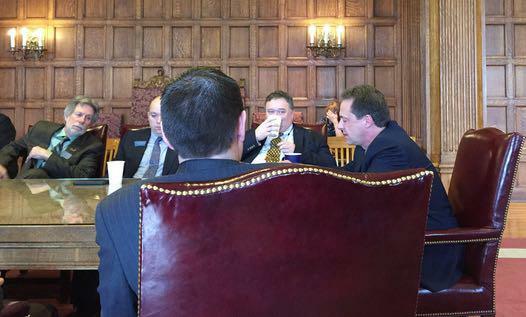 That morning, 11 legislators sat down with Governor Steve Bullock, Budget Director Dan Villa and other staff in the Governor's Conference Room to talk about possibilities. Specifically, what would it take to reach the 67 votes needed in the House to pass a bonding bill. Among the bills put on the table were those dealing with abortion and charter schools. 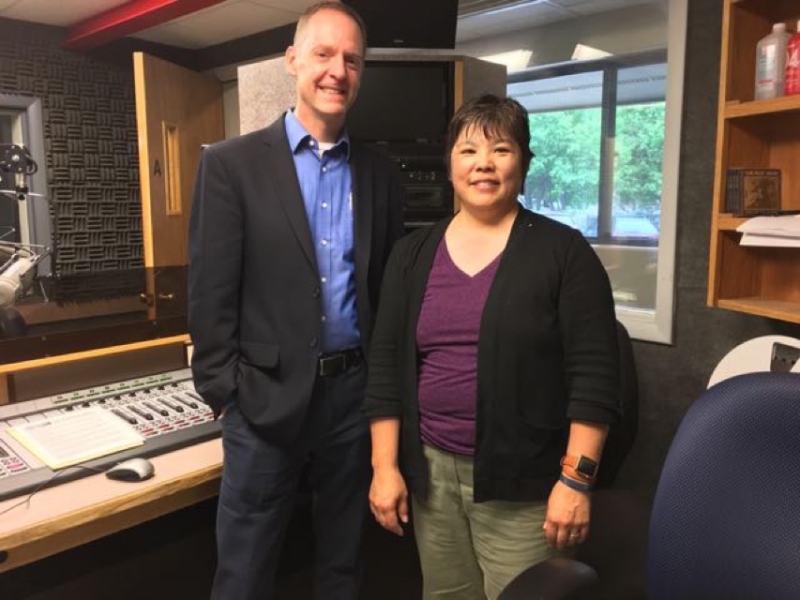 House Minority Leader Jenny Eck, D-Helena, said if those bills were part of the deal, the Republican majority would lose Democratic votes, which could doom bonding. The head of the National Governors Associations says there’s bi-partisan consensus that infrastructure has been neglected. Scott Pattison says infrastructure includes everything from broadband to road and bridges. “We've neglected it long enough that we were looking at hundreds of billions of needs. You can't just magically come up with the money for that,” said Pattison.